Wheelchair travel is growing as a market. There is ever increasing demand for vacation options where people with all types of disabilities can enjoy themselves to the fullest without having to feel that they are missing out on things or slowing others down when traveling. In recent years, the travel industry has realized the business potential of offering vacations tailor-made for people with physical and other types of challenges. As a result, people who use wheelchairs have the opportunity to enjoy all types of exciting travel packages to destinations around the world. 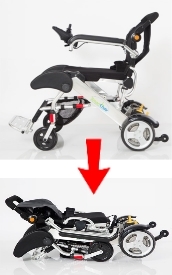 Impressive advances in wheelchair technology have helped immensely in this regard. Manual transport chairs, as well as new lightweight, folding power chairs, can be easily taken on vacations and used for all types of leisure and business travel. 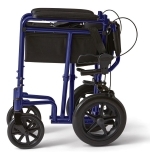 Transportable manual and power mobility chairs are small and compact when folded – and can be easily stored when the need arises. Disabled-friendly travel options include everything from accessible cruises and safaris to scuba diving trips and snowmobiling adventures. With tour operators and other travel experts specializing in arranging vacations for people with disabilities, the only limitations are your imagine and budget. Vacation packages and tours are available for people who wish to travel alone, with a travel companion or caregiver, and for those who enjoy traveling with a larger group. It simply depends on your travel preferences. When planning trips for clients, tour operators who specialize in handicapped travel research and evaluate the accessibility of domestic and international destinations, sought-after sights, and the availability of mobility-friendly lodging and bathrooms. Travelers also get special assistance with their wheelchairs and baggage when traveling by air, rail, ship and bus. Specialized travel professionals help ensure that needs are anticipated so that problems are unlikely to occur. Therefore, vacationers who use mobility chairs can focus fully on having a great time and enjoying their travel experiences. Though, before booking your trip with a tour operator or travel professional, do your homework. Ask questions and ensure you are comfortable with all of the services that are provided to accommodate your specific needs while away. For example, if you want to travel alone, check to ensure that the tour does not require you to bring an able-bodied companion to help you traverse less-accessible stops on your trip. In addition, ensure the tour operator has a plan to secure medical assistance during travel and at your destinations, in case it is needed. Make sure designated restaurants, travel stops and your hotel rooms are equipped to meet your individual requirements. Click here for a list of accessible travel resources and see articles below for more information about disabled-friendly travel options.